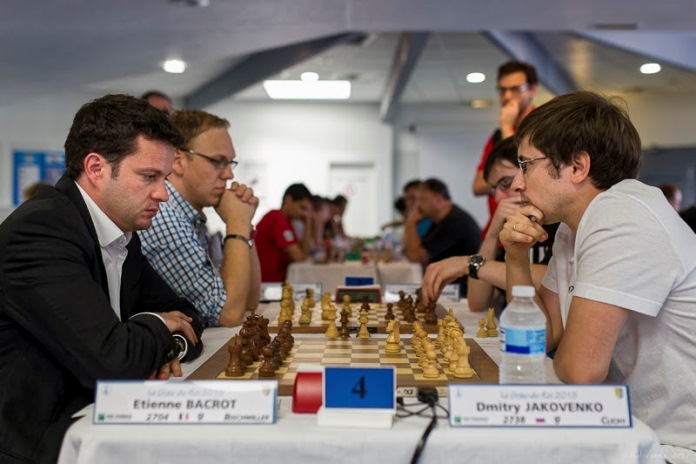 Anish Giri’s Bischwiller have won all nine matches in the French Team Championship, including a crucial 4.5:3.5 victory against favourites Clichy, to put them within touching distance of the title with only two rounds to go. We take a look at the action, with a special focus on how the next five rounds went for the players we highlighted after Round 4. Maxime, if you recall, had finally opened with 3 wins in a row in the Top 12 after a 27-game streak without a win. Since then he’s only played three rounds, with two draws (Ragger and Sokolov) and one win (Szabo). So nothing spectacular, but steady progress. Why has he played only six rounds out of nine? Probably he’s also preparing for the challenge ahead. 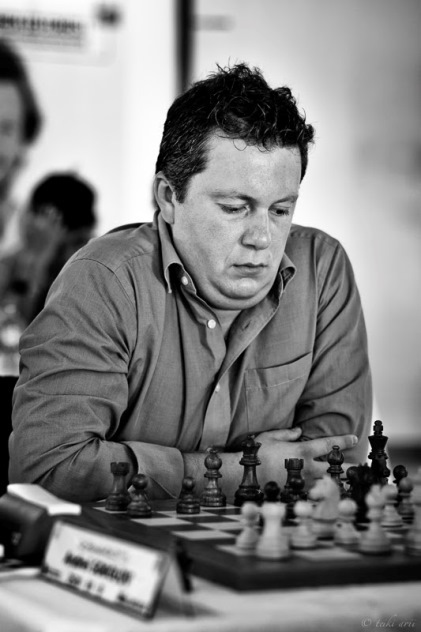 As we mention in our 2015 Chess Calendar, he’s playing in the Leon rapid chess tournament next weekend (12-14 June), before the Norway Chess blitz opener takes place the very next day! Ivan also eased off after sprinting to 4/4, adding 1 win and 4 draws, including draws against Maxime Vachier-Lagrave and Radek Wojtaszek. That put Duda on 6 wins in a row, with a chance to match Caruana’s fabulous 7 from the Sinquefield Cup. Like Anish Giri, Vladimir Kramnik and Magnus Carlsen before him, though, Duda fell at the final hurdle. It wasn’t for the want of the trying! Duda has just given up a bishop for the last black pawn and tablebases tell us this position is a draw. The young Pole showed he knew why, playing 47.b4 and 48.h5 on his next two moves to establish a fortress and then just shuffling his king and rook for the next 22 moves – Yuri Solodovnichenko didn’t give up easily! Duda then drew with Arkadij Naiditsch in the Round 9 match against Bischwiller. Despite his efforts the team’s 5.5:2.5 loss may have confirmed Bischwiller’s title and deprived Bois-Colombes of any chance of taking silver or gold. Another curiosity is that Duda has played his last 8 games with the white pieces! Things haven’t gone quite as well with White for the Polish no. 1, and we might be to blame In our earlier report we wondered if Radek Wojtaszek was the world’s best player with the white pieces at this moment in time… he immediately went on to draw with White against 2454-rated Axel Smith, and then later with Donchenko (2570) and Sokolov (2623). 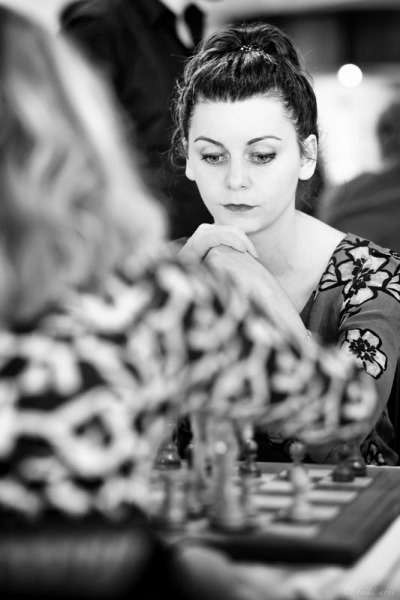 Add in two draws with Black and it’s been a disappointing tournament for the Polish star, who’s dropped 16.4 rating points and nine places in the live ratings. And now let’s update the “misses” of the first four rounds. Here, as you might expect with Bischwiller standing proud at the top of the table, their top players have improved, with one exception! 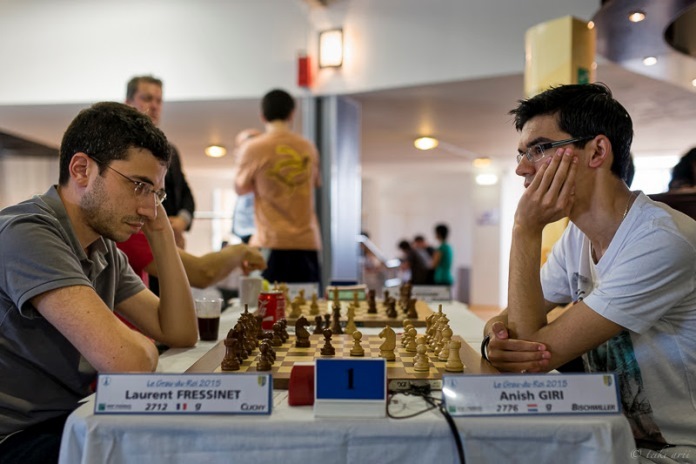 Anish Giri put his foot on the accelerator to win four of his five games, including a crucial victory over Laurent Fressinet to take down the tournament favourites and winners for the last three years, Clichy. His one draw was against David Navara. Etienne Bacrot recovered from three draws and a loss to go on a three game winning spurt, including a key win against Dmitry Jakovenko in the showdown with Clichy. 34.exf7! was a key zwischenzug in a very nice finish. We should point out that 52-year-old Andrei Sokolov isn’t someone to be underestimated. 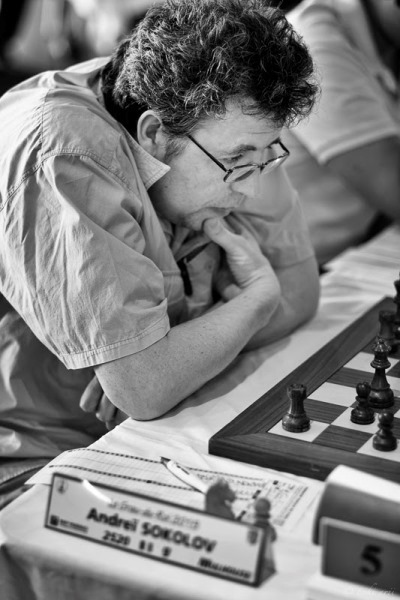 He moved to France 15 years ago, but won the World Junior Championship in 1982 as a Soviet player and then the 1984 USSR Championship at his first attempt at the age of 21. Feller has stabilised in his first big event back after his long cheating ban. He followed one draw and three losses with one win and four draws, with the draws coming against strong players: Riazantsev, Donchenko, Naiditsch and Krasenkow. Here, though, Laurent Fressinet played the computer’s recommended 16…Bb8 (although the computer still thinks White is close to winning) and won. 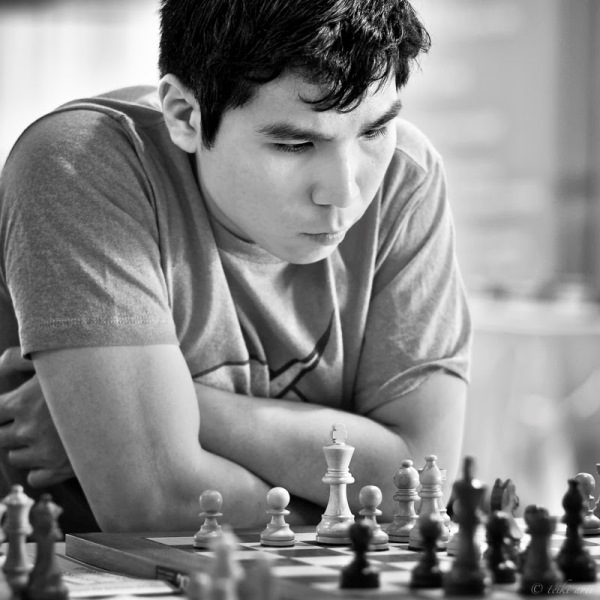 Sam Sevian blundered with 16…Qe7?, but still went on to win after Wesley So blundered last. 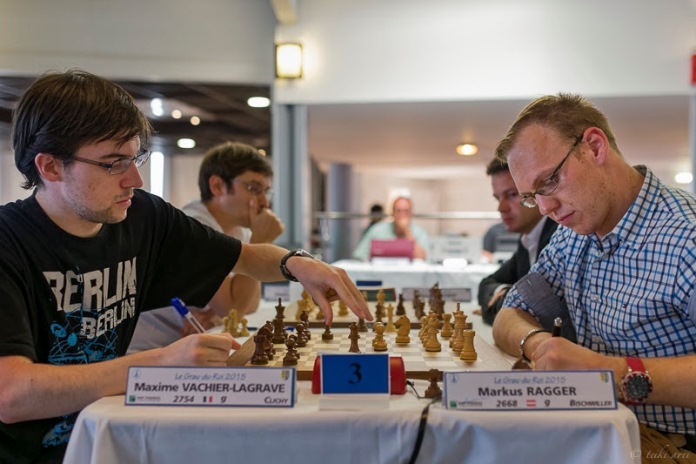 In the French Team Championship So is performing at just about his expected level, with a very solid five wins and four draws. 105.Ne6+! is actually mate-in-5 (replay the game and work out why here), though you can understand how easy such a mating net is to miss playing on increments after a long and exhausting game. After 105.Bxa2? the game ended in a draw a couple of moves later.